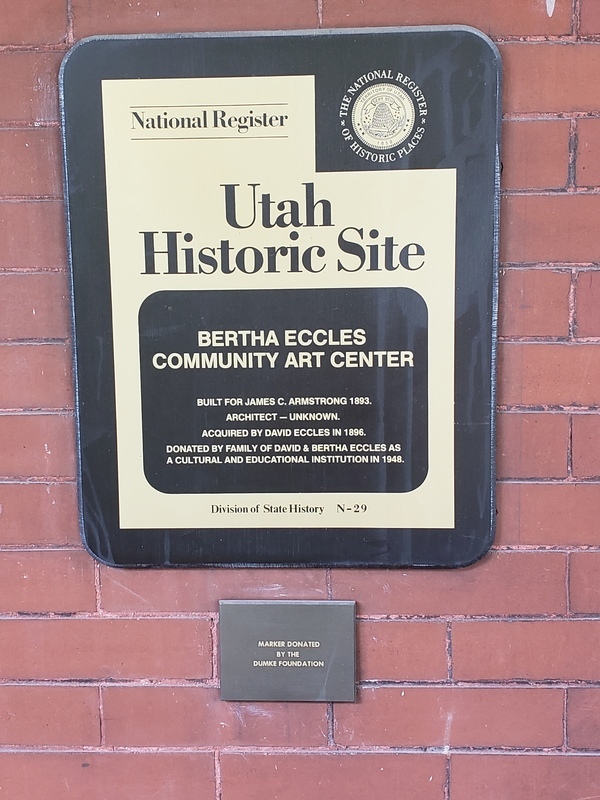 The Bertha Eccles Community Art Center embodies the legacy of its owner as a leader in the cultural and educational activities in Ogden, Utah. The present-day Bertha Eccles Community Art Center is a Queen Anne styled Victorian home built in 1893. It's red brick was imported from the Midwest and red sandstone from northern Utah. The original owner, James Clarence Armstrong was a wealthy banker and Weber County commissioner in the 1890's. Samuel A. Whitaker most likely designed the home. 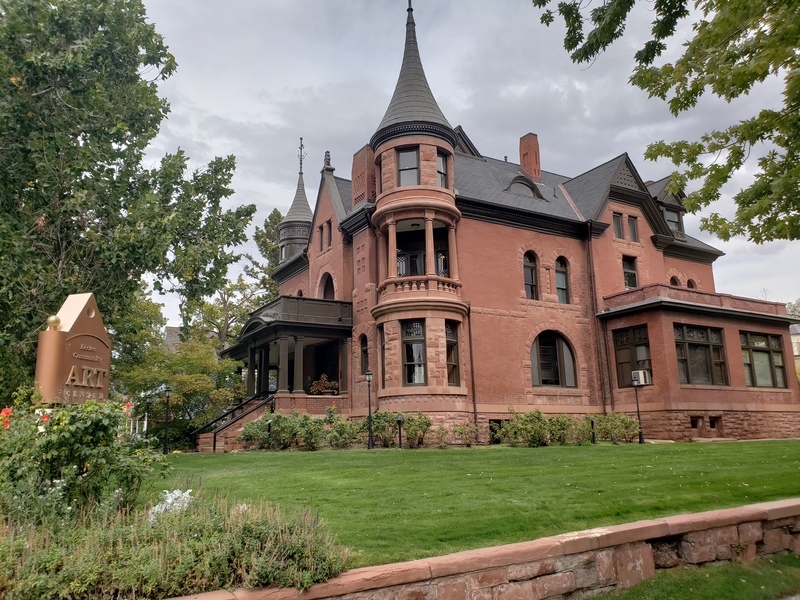 Armstrong sold the home in 1896 to David Eccles, another prominent businessman in northern Utah. Eccles met his first wife, Bertha Marie Jensen at the Weber Stake Academy which eventually became what is now Weber State University. The Eccles extensively remodeled the interior with woodwork of maple, quartered oak, and maple. Eccles second wife, Ellen Stoddard, lived in Oregon and then in Logan. Between his two polygamous wives, Eccles fathered 21 children. He also founded at least 56 companies in five western states. Those businesses included sugar factories, banks, railroads, coal mining companies, and lumber yards. 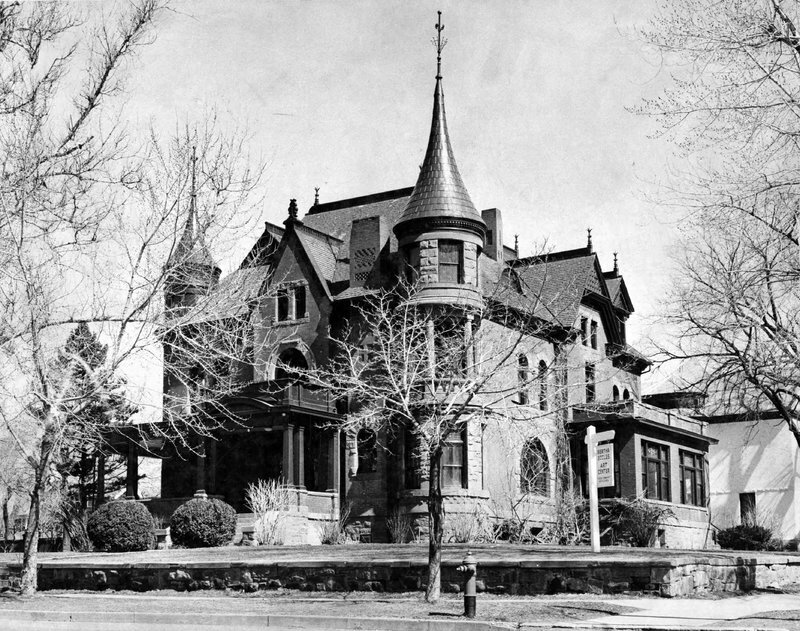 During the 50 years Bertha Eccles lived in the home, it became a prominent center for Ogden’s educational and cultural activities. Mrs. Eccles was one of the founders of the Girl Scout movement in Utah and was involved in the Children’s Aid Society, the Red Cross, the Drama Club, and the Child Culture Club. After her death, the home was given to the L.D.S. Church. Then, in 1948, the home was turned over to Weber State College which converted it into a women’s dormitory and social center. When the college moved to a new campus, 1954 to 1956, the house reverted back to the L.D.S. church which then gifted it to the Ogden Arts Council which had been formed in 1953 as a coalition of several groups and clubs in Ogden interested in civic and cultural developments in the community. The Bertha Eccles Community Art Center opened in October 1959. In 1976, the name of both the facility and the non-profit organization that supports it was changed to the Eccles Community Art Center. A gallery store was renovated in the 1913 carriage house and opened in May 1985. In 1999, a complex was built on the grounds to accommodate the offices of the Ogden Symphony Ballet Association as well as to house ongoing educational programs. 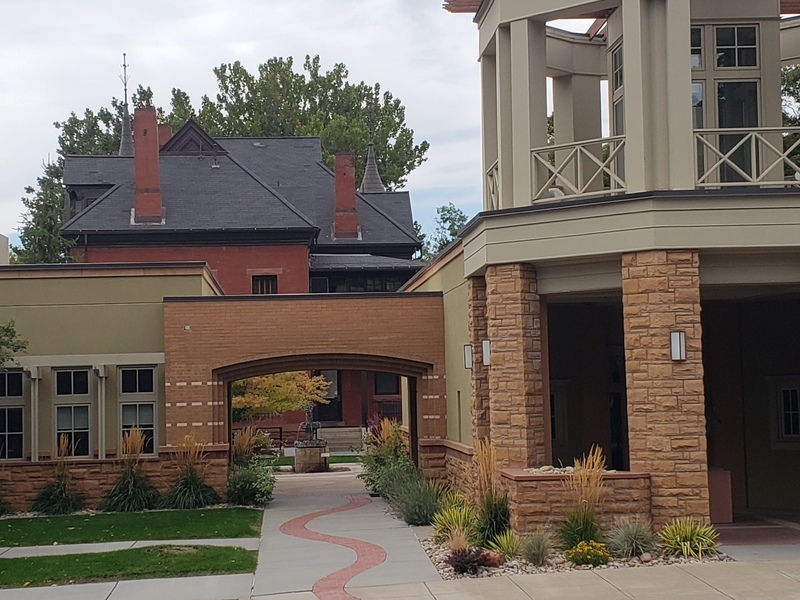 Besides displaying artwork, the Center provides space for the Junior League of Ogden, the Palette Club, the Weber County Heritage Foundation, and the Symphony Guild, and other organizations. Classes in graphics, ceramics, painting, drawing, sculpture, drama, and ballet, are taught during the year. Following Bertha Eccles inspirations, this building continues to serve the community and supports various cultural activities. Bertha Eccles residence ~ Source: Used by permission from the Utah State Historical Society, Photo no. 2590, https://collections.lib.utah.edu/ark:/87278/s6zk5wwc. 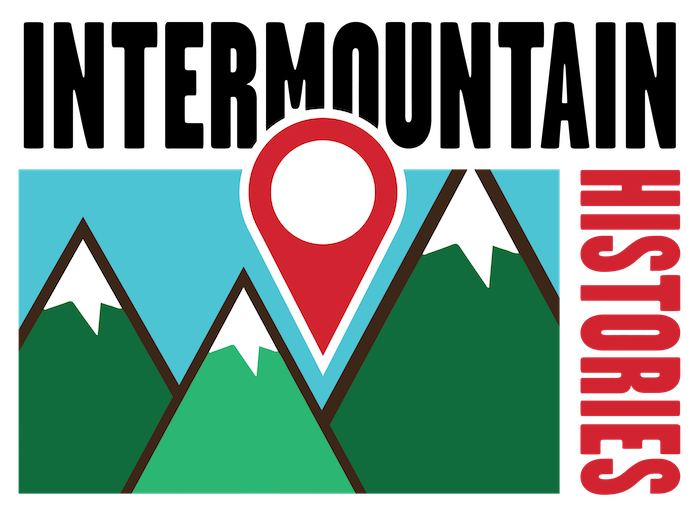 ,” Intermountain Histories, accessed April 20, 2019, https://www.intermountainhistories.org/items/show/265. “LDS Releases Eccles Hall,” Ogden Standard Examiner, 4 September 1959. National Register of Historic Places, Bertha Eccles Home, Ogden, Weber County, Utah, #7100865. Lila Eccles Brimhall, Interview conducted by Ronald D. Hales, June 1974, Special Collections, Stewart Library, Weber State University.